A mountain biker runs up the forest road, pushing his bike while doing so. I pull the pickup truck over to the side. A fellow rider flatted up on the ridge, exhausted his air cartridge trying to seal up the tubeless tire, then put a tube in, only to find out that his hand pump wasn’t working. He was on a one gear (32 x 19) hardtail, big-wheeled setup, with a sizable amount of dirt and paved roads back to where he needed to be in about an hour. I decided to cut the ride short. 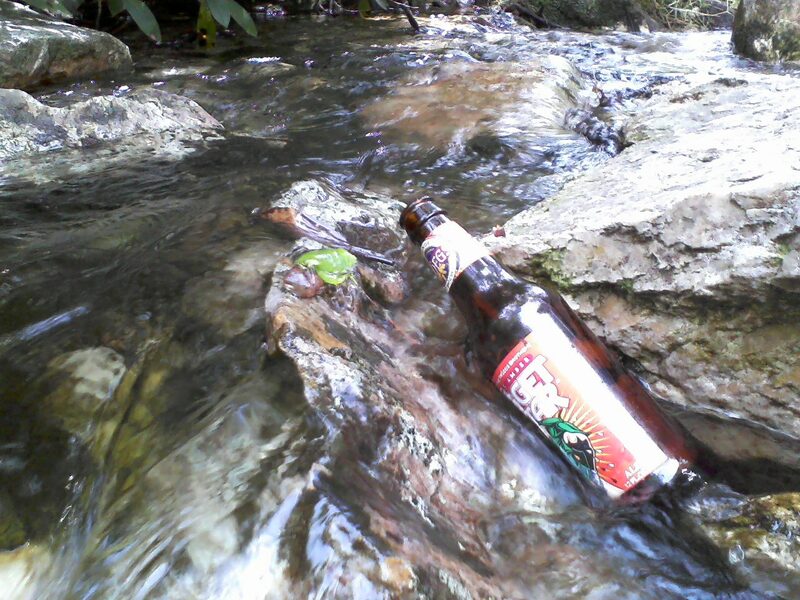 Back at the truck I pulled out a beer, walked to the mountain stream, found a rock in it, and sat down. A Nugget Nectar never tasted so good.